According to research, people in the USA now spend five hours per day on mobile devices. That’s 35 hours per week! So since we already spend so much time on our phones, wouldn’t it be great if we could make a little money from them? There are plenty of ways to make money from your smartphone. In fact, we’ve covered a lot of them on this site, in articles like Make Money with Your Smartphone Mystery Shopping and 10 Ways to Earn Extra Money at Home on Your Smartphone. But one of the easiest ways is to use your phone as a way to earn extra cash is by getting paid to download apps. That’s right – with AppBounty simply downloading a few apps to your phone can earn you free gift cards for places like the iTunes and PlayStation stores. Essentially, you’re getting free cash to spend! We’ve put together an AppBounty review so you can find out more about this useful app, and exactly how you can make money with it. It’s is website that pays you to download apps. Essentially, you download and install apps on your phone, and you’re rewarded with credits. What’s great about AB is that you don’t have to keep the apps you get from it on your phone. 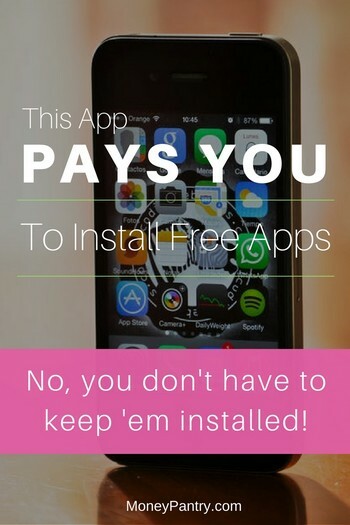 You only have to have the app installed for a couple of minutes, and you’ll get paid. Basically, you get paid to install and open up apps on your phone – it’s super simple. Now you know what it is, let’s delve into the review of AppBounty. Below, we cover how AB works, how to make money with it, whether it’s a legit platform and give you an overall review of it. If you want to use AB, then the first step is visiting appbounty.net. You should do this from an Android or iOS device. There you can sign up. If you have an Android device, then you can also download AB for Android straight from the app store. If you have an invite code, then you get extra 50 points when you sign up, at the time of writing. You can enter a code, or hit the skip button. At this point, if you are using an iOS device, AB gives you the opportunity to download a full-screen browser app called Blu, which you can use AB through. AppBounty runs in your regular browser, like Safari or Chrome. But, you still need to download Blu in order to create your account and secure your credits. If you’re using an Android device, you can sign up with Facebook. Once you’ve installed AB, you can get started downloading apps and earning credits. If you have an iOS device, then you might have to change your privacy settings in order for AB to work. Navigate to you privacy settings section. Go to the “Advertising” tab. Turn off “limit ad tracking”. You can see more on how to do this by visiting this page. AB is a really simple to use platform that makes it easy to earn money, in the form of free gift cards. The main way to earn money with AppBounty is to download apps, but that’s not the only money-making opportunity that AB offers. When you download apps, AB rewards you with credits, which you can put towards gift cards. AB partners with app developers and ad networks to provide these offers to its users. So, simply download an app, and you’ll receive credit for it. You will need to open each app that you download at least once, follow the offer instructions, and keep it open for at least two minutes. This allows AB’s partners to get a signal that a new user has used their app. Once you’ve downloaded enough apps, and therefore accumulated enough credits, you can redeem them for gift cards at stores, like Netflix, Amazon, and Xbox. Also, you can use your iTunes to get free in-app currencies like gems, through AB too. Referring your friends to AB is another excellent way to earn credits. It’s pretty easy to invite others to use the app too. Simply go to the invite section of the Account tab. Once there, choose to invite your friends via Facebook, Twitter, WhatsApp or email. The person who you invite needs to follow your unique invitation link or use your invite code in order for you to earn credits. Once your friend gets the invitation and has used your link or code, they need to start an AppBounty account and complete at least two offers, otherwise you won’t get credited. It can take up to 24 hours for you to receive credits for the invite. For each friend that you refer, you receive 250 credits. And, the best part is that the person you invited gets 50 credits when they sign up. Another way to earn credits with AppBounty is to complete targets or task offers – the name of these differs depending on whether you’re using an Android or iOS device. On iOS devices, they’re called “Tasks“, and on android devices, they’re called “Targets“. 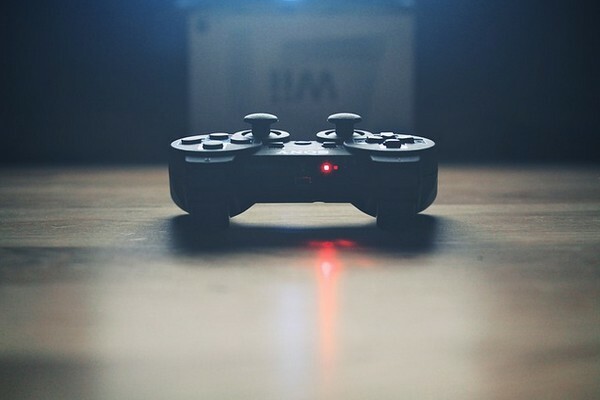 Games: Download a game, play it until you reach a certain level and you’ll get rewarded. However, if you’ve previously downloaded a particular app within the Apps section, then you won’t qualify for the credits. Videos: This is a really easy way to earn credits. All you need to do is watch video ads and you get rewarded. Registration: If you sign up for certain services, using valid information, you get credits. Surveys: Complete surveys and you will earn rewards. You essentially help researchers and companies to better understand consumers. The length of each survey can vary. Some can take up to 20 minutes. And, most researchers/companies require participants to meet certain demographic criteria in order to be eligible. Deals: If you sign up and purchase something from a retailer, then you could get access to offers and vouchers. Mixed: There’s also a selection of other offers that don’t fit into the categories above, which appear in the mixed section. As you can see, there are quite a few ways to earn credits with AB. If you want to make money with AB, then we highly recommend taking advantage of all of the tasks on offer, as well as simply downloading apps. If you complete additional tasks, like watching videos and playing games, as well as downloading apps, it means you earn credits quicker and accumulating enough points to unlock a gift card is therefore faster. How many credits you earn per app download or task really does vary. You could earn anywhere from as little as 30 credits to hundreds of credits per download or task. Once you have earned enough credits, you will be able to redeem them. You don’t redeem them for cash, but, rather gift cards instead. AB offers quite a wide variety of gift card options. This is great, because it means that you’re likely to find a gift card for somewhere that you actually shop! Click on the “Rewards” tab. Choose the gift card you want, whether it’s for Amazon or Google Play for example. Once you’ve selected the gift card you want select “Purchase”, if you’re using an Android device or “Buy Card” if you’re using an iOS device. It takes up to 48 hours for AB to approve the gift card. After AB approves your gift card, you will get a gift card code. If you’re using an Android device, you’ll be able to view your gift card code in the “Rewards” section of the “Account” tab. On iOS devices, you can view your code by clicking “Your Codes”, which can be found in the Rewards tab. Now, you can enter the code at the checkout of the related website, like Amazon.com for example. Is AppBounty safe to use? Essentially, people want to know whether it is legit or a scam, and that’s perfectly understandable. 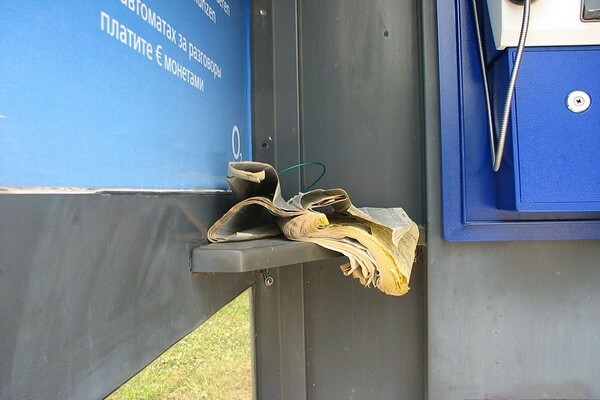 AppBounty appears to be a legitimate platform for making money, and many people on forums and reviews online talk about how they’ve made money with it. So, it’s a legitimate money-making opportunity. Plus, the app is well-reviewed on app stores. On the Google Play store, AB has a four star rating, from more than 200,000 reviews, at the time of writing. As you can see so far from this Review, it’s a legitimate app/website. Should you use the app to earn? The app’s layout is clean and easy to navigate. Downloading apps and completing offers only takes a few swipes. It’s not overly cluttered, so you don’t have to navigate your way through tons of screens to get to what you want. This is ideal if you want to make money quickly. Earning free gift cards with AB is really, really easy. All you need to do is download and open up a few apps, and you earn credits. And, you can also complete other simple tasks, like watching video ads or playing games. These are things that can be done in your spare time, like on your lunch break at work, while waiting in-line at the store, as you’re watching TV, or anytime where you have a little down-time. It doesn’t take much of your effort to download apps or complete offers. So, if you want an easy way to earn some spending money, then AB is definitely for you. What’s great about AB is that it gives you a wide range of gift cards to choose from. This is great, because a lot of platforms only give you a few options, and if you don’t shop at any of the places they offer gift cards for, then this isn’t ideal. With AppBounty, you can choose gift cards from a wide variety of stores – and these are popular stores too, like Amazon and iTunes. So it’s likely that you’ll find a gift card for a retailer that you actually shop with on there. Primarily, AB is known as a website that gives you credits when you download and open apps. But, as we mentioned above, that’s not the only way that you can earn with it. AB gives you a multitude of tasks to choose from that also reward you with credits, like completing deals, taking surveys, playing games and watching videos. And these tasks vary it terms of effort. So, if you do feel like putting in a bit more effort, like completing a survey, to earn more cash, then you can. The fact that AB gives you a variety of different ways to earn is definitely one of its best aspects. Gift cards are great, but some people prefer to earn cash. So if you’re one of these people, then AppBounty might not be the website for you. With AB you can only redeem your credits for gift cards. And, while many other money-making apps, like FeaturePoints for example, offer PayPal gift cards, AB does not. But, although it doesn’t technically pay you with cash, it does give you free spending money for big brands, like Netflix and Amazon. Even for small value gift cards, you’ll need thousands of points to accumulate enough to unlock one. This means that it can take a while to accumulate enough credits to actually redeem a gift card, and you’ll have to complete quite a few offers. This is definitely one of the biggest downsides to AB. It’s really frustrating when a gift card that you want is sold out, but, unfortunately, this does sometimes happen with AB. At the time of writing, AB states that it’s working on a wait list feature, which, in the future, you could enter to be the first to know when a gift card comes back into stock. Sometimes, there are issues with offers, which result in you not receiving your credits. Make sure that this is the first time that you’ve downloaded this particular app to your device. Have opened the app and have used it for at least two minutes. Not switch networks during the process, like switching from 3G to WiFi, for example. AB states that sometimes its provider’s offers just don’t convert. Overall, AppBounty is a simple to use platform that can net you a little extra spending money. It’s certainly not going to replace your income or make you rich by any means. If you’re looking for a way to make an income from home, then you’ll definitely want to try something else – we have a post on work at home opportunities that you should definitely check out. It covers ways that you can earn a living from the comfort of your own home. While AB won’t replace your income, using it, you can make yourself a little extra spending money, without having to put in much of your effort. There are not many other money-making tasks out there that you can do while waiting in line at the store, or while watching TV at home! So if you’re looking for a fun, easy way to get yourself some free gift cards you can use next time you shop online, then AppBounty is definitely a great choice. Chat Host Jobs: This Company Will Pay You to Flirt Online!